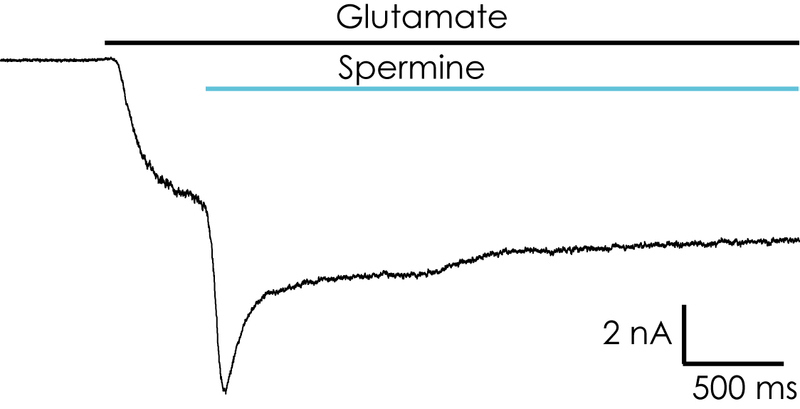 The CaV3.2 channel is one of the three low voltage activated (LVA) T-type calcium channels. 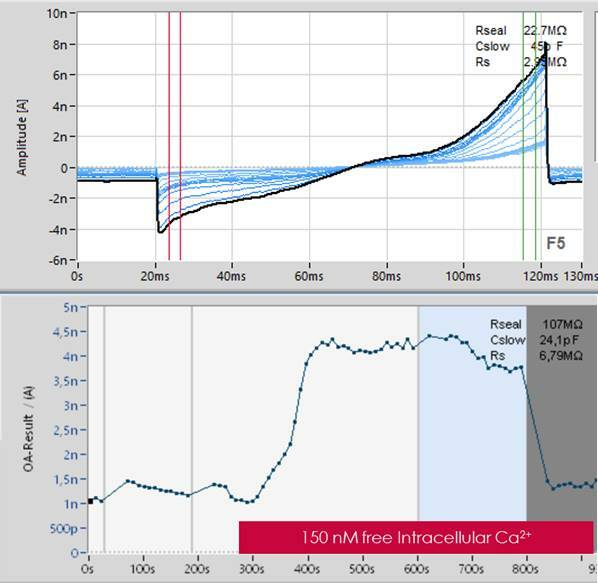 The LVA currents differ from the high voltage activated (HVA) calcium currents in their activation and inactivation kinetics. LVA currents are activated at lower voltages (typically activating above -50 mV and peaking at around -20 mV), they display faster inactivation, slower deactivation and a smaller conductance of Ba2+ ions as compared with the HVA currents. 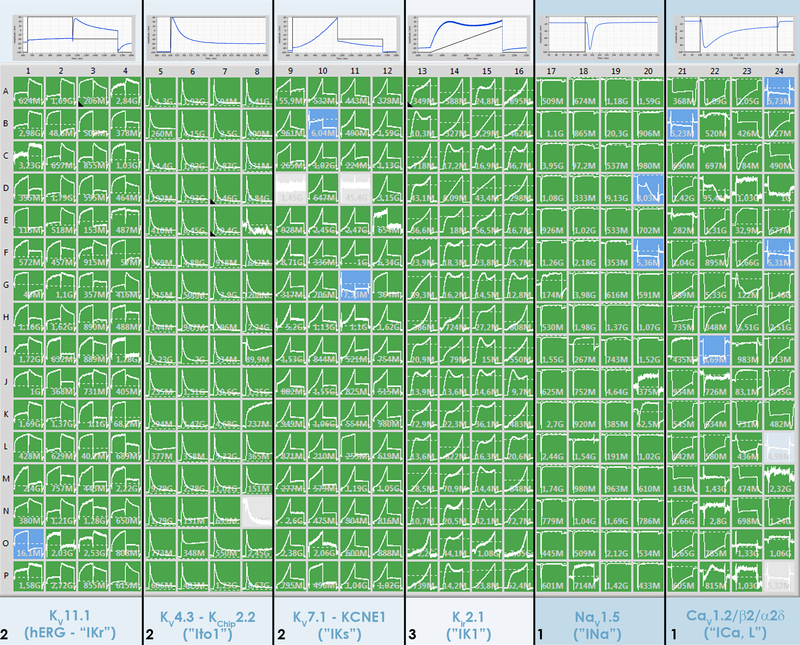 The CaV3.2 channel contains the α1H subunit, encoded by the CACNA1H gene on the human chromosome 16p13.3. T-type channels are expressed in a wide variety of organs throughout the human body, including nervous tissue, heart, kidney, smooth muscle, and many endocrine organs. They have been implicated in a variety of physiological processes including neuronal firing, smooth muscle contraction and hormone secretion. More recently, CaV3.2 has been shown to play a role in nociception and pain. 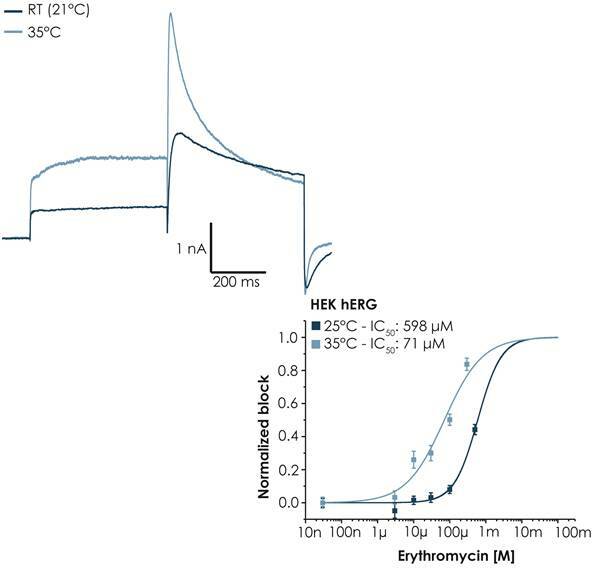 Here we present high quality data with reliable pharmacology on CaV3.2 expressing HEK cells at a high throughput collected on the SyncroPatch 384PE. 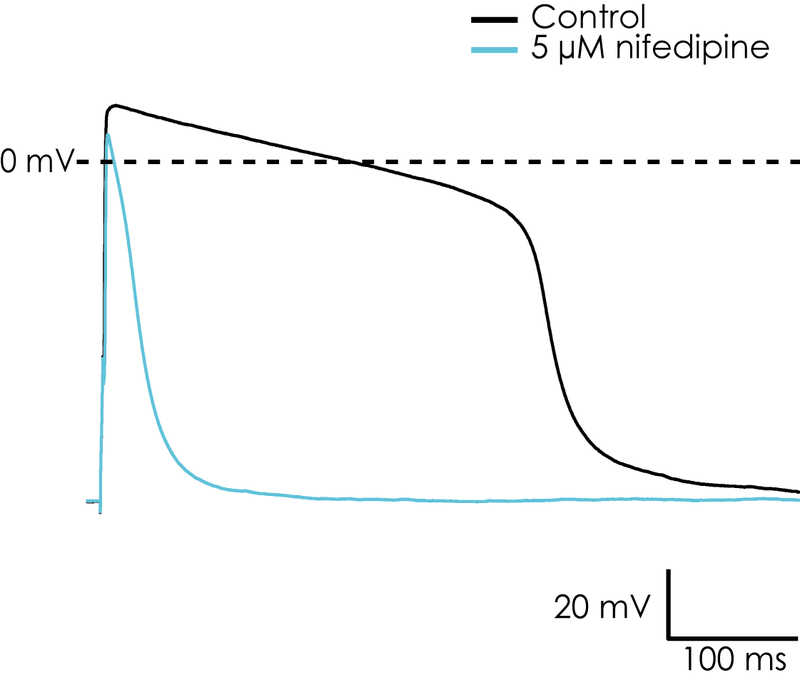 Current-voltage plots and concentration response curves for the compounds nitrendipine, nifedipine, mibefradil and amiloride are shown. The IC50 values for these compounds are within the expected range and success rates of up to 79% for completed experiments were recorded.